Southern Seminary launched its new Global Campus Feb. 12. The Southern Baptist Theological Seminary launched its new Global Campus allowing students who serve in ministry around the world to complete a master’s of divinity degree through distance learning options including online, seminary leaders announced Feb. 12. Through the Global Campus, students can earn the M.Div. entirely through Southern Seminary Online or one of the institution’s nine extension centers. Other distance learning options include hybrid modular, conference, mission trip or J-term courses, and the Ministry Apprenticeship Program. Mohler said the digital age has opened new opportunities to “eclipse geographical boundaries” and provide theological education to anyone regardless of location. He said faculty trips to China have led to requests from Christians there to continue learning from seminary professors. 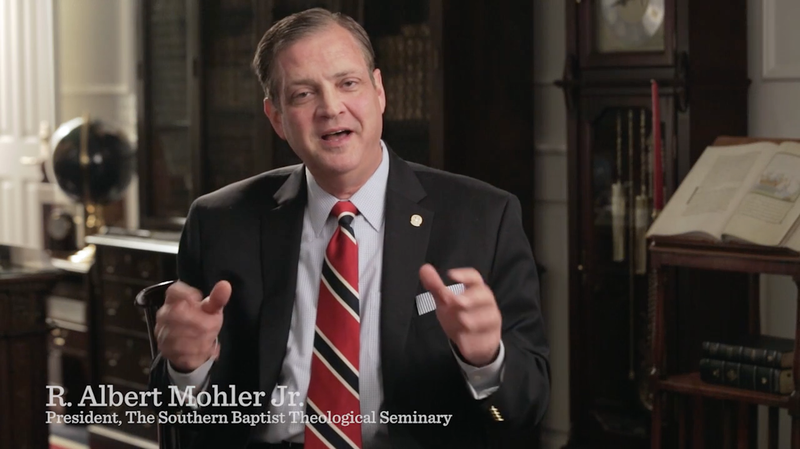 The Global Campus, Mohler said, is the seminary’s opportunity to overcome previously “impermeable” barriers. “We’re not trying to sell a product to the world, we have a message to take to the world,” Mohler said in the video. “The most important context to which we can aim is that which puts a professor and students in the physical classroom, where we believe the most amazing things of all can happen in the educational opportunity the Lord has given to us,” Mohler said in his chapel announcement. A variety of Global Campus opportunities retain the on-campus learning experience. The hybrid modular courses blend online learning with classroom experience at the Louisville campus. J-term courses are week-long sessions held in the winter or summer between semesters. Southern Seminary operates nine extension centers across the United States: New York City; Boston, Massachusetts; Columbia, Maryland; Knoxville, Jackson and Nashville, Tennessee; Greenville, South Carolina; Springdale, Arkansas; and Washington, D.C.
Students can also earn course credit on mission trips through the Bevin Center for Missions Mobilization or in seminary-affiliated conferences. Churches that participate in the Ministry Apprenticeship Program (MAP) provide opportunities to earn course credit through qualified ministry internships. 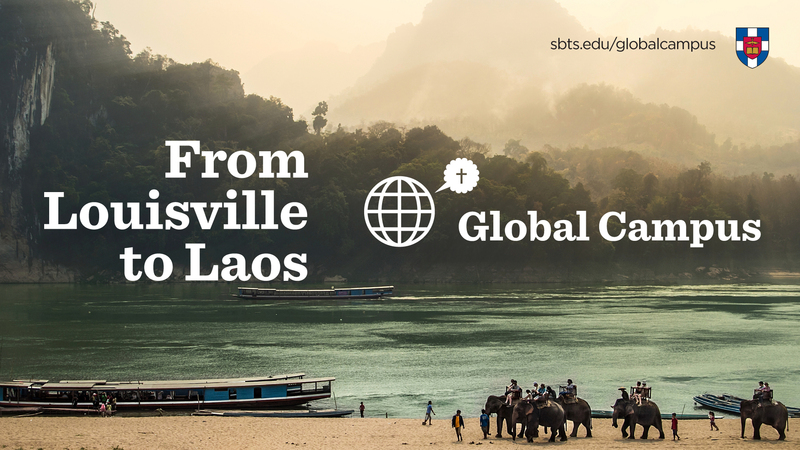 The Global Campus tagline, “From Louisville to Laos,” emphasizes Southern’s commitment to providing quality theological education wherever students are faithfully serving in ministry, seminary leaders say. For more information on Southern Seminary’s Global Campus, visit sbts.edu/globalcampus.